If you have ever had the good fortune to visit one Edinburgh, Scotland then you will already know that this is a city with a dark and bloody history. You never have to go too far to stumble upon a good ghost story or a haunted location. 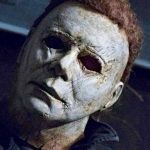 However, there is one particular haunting that often stands out above all the rest largely because of the hundreds, if not thousands of documented cases of tourists being physically attacked by this restless spirit. Let’s take some time to meet Edinburgh’s famed Mackenzie Poltergeist! Who Is The MacKenzie Poltergeist? Calling the entity a poltergeist is probably not entirely accurate. This haunting does not fit with the standard description of poltergeist which usually only lasts for a few week or months and tends to be focuses only on one particular person. However, the MacKenzie Poltergeist has been around for many years, terrorizing countless people and has even been known to move around to different locations including not only his tomb, but also the properties that he lived in and sometimes even the buildings surrounding his final resting place! So perhaps, Mackenzie is not really a poltergeist, but rather a particularly powerful spirit entity of a different kind? Could this have something to do with who he was in life? 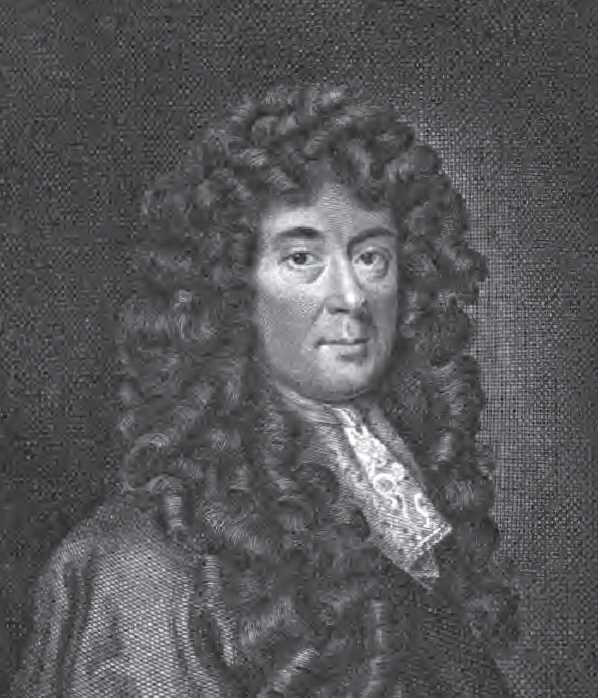 Sir George MacKenzie was Edinburgh’s Lord Advocate from 1677 until 1690. He earned himself the nickname Bluidy MacKenzie (that’s Scottish for Bloody) thanks to his relentless and often inhumane prosecution of the Covenanters. The Covenanters were a group of Presbyterians who were against the King’s attempts to change their religion. In 1679, MacKenzie rounded up some 1200 of these people and imprisoned them in an area of Edinburgh’s Greyfriar’s Kirkyard which is now known as ”The Covenanters Prison’. They were subjected to horrific inhumane treatment and endured one of the coldest winter’s in memory with little to no food and shelter. Those who did not die as a result of this treatment were either executed or sold into slavery. MacKenzie died on 8 May 1961in Westminster, and was buried in Greyfriars Kirkyard in a mausoleum now known as the Black Mausoleum. It’s almost ironic that he now shares a final resting place with those Covenanters he persecuted! As noted, MacKenzie’s restless spirit seems to move around a little. He has been reported in his former residences and in the buildings that surround Greyfriars Kirkyard. However, he can most often be found at his mausoleum in the cemetery. Due to the large volume of attacks on member’s of the public the tomb was locked up and the covenanter’s prison gates remained closed to the public for many years. The only way to gain access to this part of Greyfriars Kirkyard is now by going on one of the official City of The Dead tours – although even then, the tour is preceded my a stark warning that the company is not held responsible for physical injury. They are also open about the fact that they have not yet had a single tour where nobody was affected, there is usually at least one person scratched or bruised and on occasion people have actually passed out. The area has even been exorcised on two separate occasions, both unsuccessfully! I have already alluded to the vast numbers of attacks attributed to MacKenzie’s spirit, but he wasn’t always active. For the first 300 years or so he seemed to rest in an uneasy peace with the souls of his victims. However, in 1998 a homeless man broke into MacKenzie’s tomb during a storm seeking shelter for the night. Once inside he took it upon himself to open the caskets inside the vaulted, fortified tomb in search of valuables that he could sell. When he happened upon the casket belonging to George MacKenzie, he was struggling to pry it open when the floor of the tomb gave way beneath him, depositing him into a pit that had been used to dispose of plague victims. Since the pit had been sealed for centuries, the stench of still rotting flesh and putrefied remains overwhelmed him. He hauled himself out of the tomb and ran off screaming in terror vowing never to return. However, his desecration of the tomb disturbed MacKenzie and the following morning the iron gates of the tomb were said to look as though they had been blasted open from within! From that moment onwards the attacks on the living came thick and fast with many reporting being scratched, bitten or burned by unseen forces! Perhaps if he had been left alone MacKenzie might have settled down again, but local kids were intrigued by the ghostly tales and it became something of a rite of passage for teens to knock on MacKenzie’s door and shot ‘Bloody MacKenzie, come out if ye dare!’ In the most extreme case in 2004, two boys were charged under ancient legislation with ‘Violation of Sepulchre’ for stealing a skull from the black mausoleum. This was the first time anyone had been convicted of this particular crime in more than 100 years! 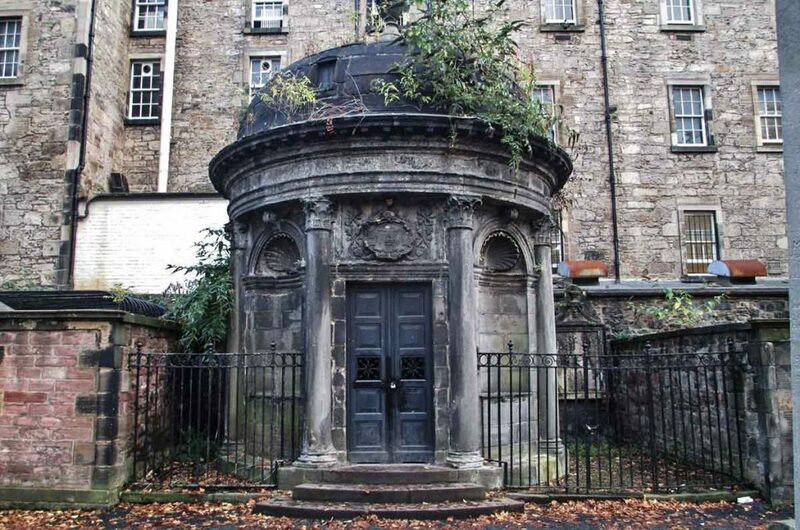 When a woman was discovered unconscious at the entrance to the black mausoleum with her throat bruised as though she had been strangled, the local authorities made the decision to lock the tomb and the Covenanters Prison and put it off limits to the public. It wasn’t until Black Hart Entertainment convinced them to allow them to run public tours with a cast iron insurance policy that it was reopened, but only to those on the tours. 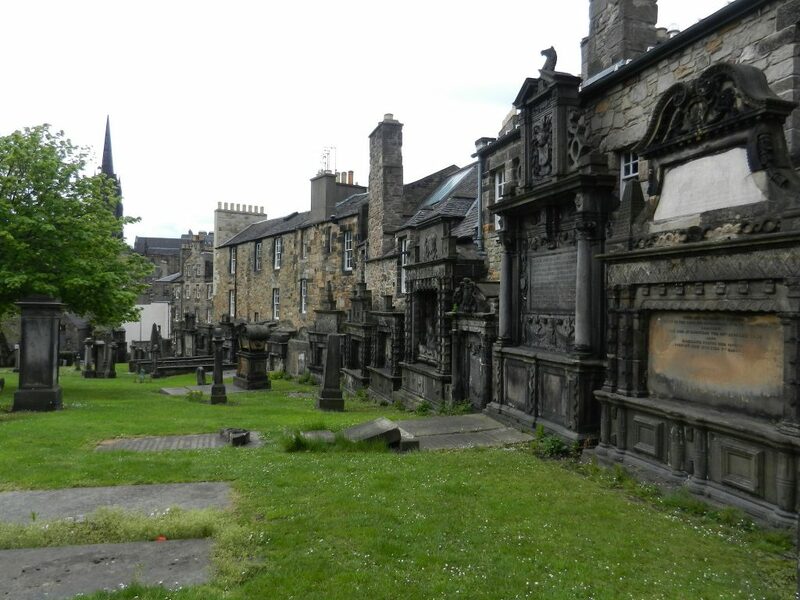 It is now a common occurrence for tour participants to discover unexplained scratches, burns, bite marks and bruises after taking the Greyfriars Kirkyard tour. Sometimes the injuries are not discovered until the individual goes home and gets undressed. However, on other occasions the victims are very aware that the attack is occurring and every now and then the attack is so severe that the individual ends up collapsing or passing out. The owners of City of the Dead Tours claim that since 1999, a total of 140 attacks have ended in the individual collapsing! In conclusion, I think it has been proven time and time again that old Mackenzie is not a spirit that you should be messing around with! Calling him out can prove to be particularly hazardous to your health! In all of my visits to Greyfriar’s Kirkyard I have managed to remain fortunate enough to come out a little bit spooked, but ultimately unscathed, but then again I know better than to provoke him – others have not been so lucky! Do you dare knock on Mackenzie’s door?